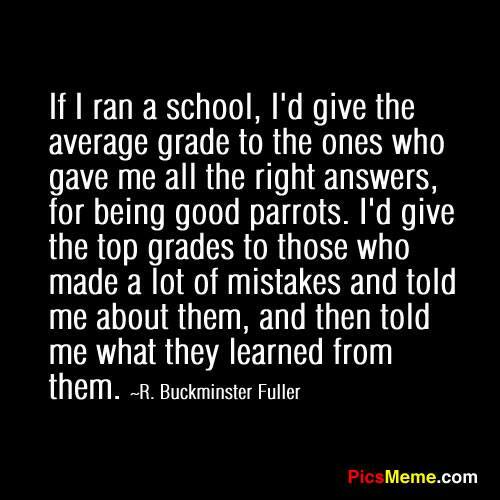 What Do You Think of This Buckminster Fuller Quote? It is an amazing quote. We as a society breed parrots, so we shouldn’t condemn them. However, the brave, tortured, or ingenious souls that share their mistakes and reflections, and go one step further to chose to recognize the learning, are the ones who will change the world, if only we stop to engage and listen to them.